There are 3 logical arguments that support the idea that Time is a construction of the Brain. 1) Question: how would you define 1 second? Well, you'd answer me that it's well known that 1 second is exactly 1/3600 of 1 hour. Oh you're finished? Then let me retort: what about 1 hour? You'd answer that it's exactly 1/24 of 1 day. Aha.... here you are. 1 day... and how do you know 1 day has elapsed? In other words, Time is a perception of your Brain. 2) Albert Einstein showed that Time doesn't exist per se, but Space-Time does. In simple terms, the flow of Time is just an illusion. In reality, Time is frozen in Space and is indistinguishable from it. 3) Now, how much fraction of Time do you think you are conscious of, at once? How would you define an instant of awareness? When you say you're aware of the moment right now, what is length of that interval of time? Certainly not 1 hour, even not 1 minute! In his study , Dr. Gary Schmid estimates that "one consciously experienced moment takes up on the average of 3.0555 sec." Now, just imagine that you can stretch this duration to say... 1 minute and picture yourself by the riverside looking at the "flow of the water". If you're honest, you should realize that you don't see a river flowing out anymore. You see a frozen river instead! 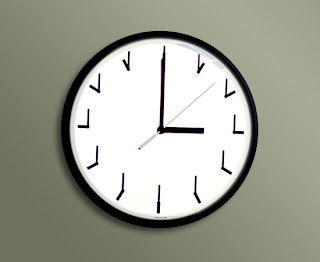 So you see, Time is just a mere construction, an illusion of the Human Brain that is generated by its computational incapacity to process more than 3.0555 sec. at a time. This is directly related to the fact that its RAM is limited. Another exciting thing to do would be to tune the frequency of the Brain CPU clock. Julian, how can we repost the links(cut & paste) How about a Facebook share post button? but i think it's very good point; I m going to find out how to set up a facebook share button.